The more you try and push your product, the more people are going to think that you are a liar. Bad news travels much faster then good news. Companies that are pushing Facebook ads to their pages need to make sure that if they are pushing a negative brand, it’s still a negative brand. If they are pushing a good brand, the brand is still a good brand. Below are tips on becoming the best Facebook marketer in the world. Have a look at companies like Dell, 95% of people on their Facebook page were negative. Dell shut of their Facebook fan page to comment from users. This has hurt them. Now, if a person wants to say something good, they can’t. They are losing out on a great opportunity to help their customers and take a bad situation and making it good. They do not engage their customers at all. They are killing their brand socially. I call this social marketing suicide. 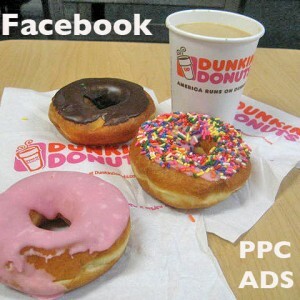 Take a good example of a Facebook page Dunkin Donuts. They embrace their users. They don’t own the brand, they encourage users to post info about their brand. They want people to upload photos, tell about their experience. They are a great example of what you should do. They embrace their customers and encourage them to create all the content on their fan page. Guess what? When they put up a post on their fan page they get 1000’s of comments and 99% of them are positive. They take care of negative comments and don’t delete them. Drive people to applications within Facebook. You don’t have to drive them through Facebook ads to your Facebook page or your website. Create pages with applications that people will enjoy. Engage your Facebook Fans and own the space that you’re in. You want to create great content for your audience while creating relevant and stop lying. Your customers will point out what things you need to change. Don’t delete this, respond to it, engage it, and give them what they want. We own the brand, but they own whether we succeed or not. We rely on our fans. People will come in and say something that’s negative. If you have loyal fans, your loyal fans and customers will respond to them and explain what you could never explain. That being said, don’t put up with Trolls, I hate them and won’t put up with them. Just delete their comments. Facebook Ads will help improve your brand and drive people that could be interested in you and your brand. Make sure you are always putting up positive content and let comments live. Have fun with what you’re doing. Your customers will tell you what you need to be doing. You just need to be listening. Are you listening to your customers online through social media?